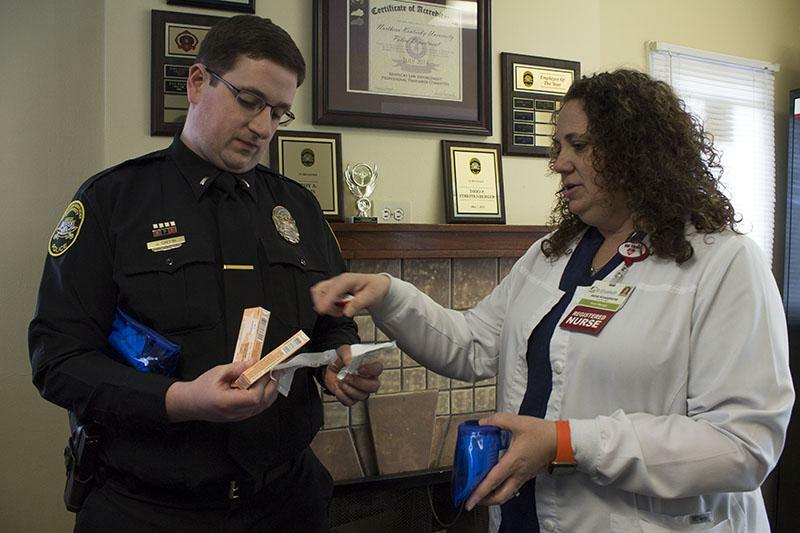 Ashel Kruetzkamp, nurse manager of the emergency department at St. Elizabeth in Edgewood, shows Lt. John Gaffin the contents of a naloxone kit. 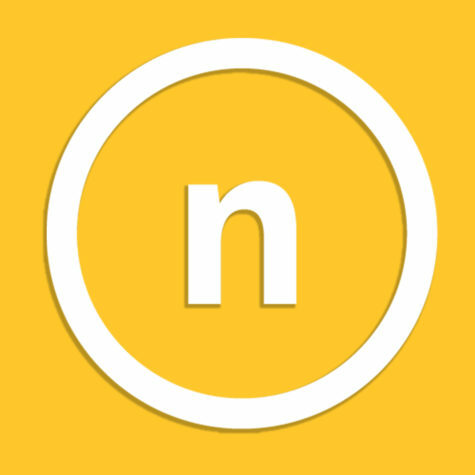 NKU officers were equipped with naloxone on April 1. 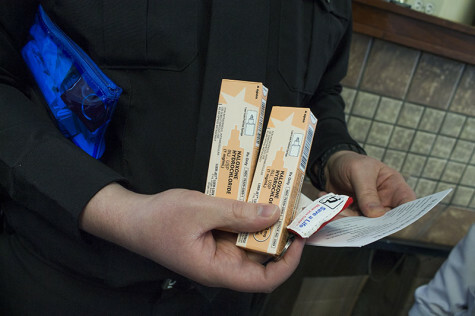 Sixteen naloxone kits were delivered to the Northern Kentucky University Police Department on April 1, making them one of the first university police departments in the region to carry the life-saving drug. The kits were provided free of charge by St. Elizabeth. Naloxone, also known as Narcan, reverses the effects of heroin when administered to an individual who has overdosed. Naloxone is considered to be controversial by some in the community. Individuals who oppose the drug believe it only encourages heroin use. Despite the controversy, Chief Les Kachurek is glad that his officers will be equipped with naloxone. “I’m absolutely excited by it,” Kachurek said. “I know that there are some schools of thought that perhaps having [naloxone] has an enabling effect, and I certainly respect and consider all divergent points of view. Lt. John Gaffin holds the contents of his naloxone kit. Gaffin was involved in issuing the general order, which allowed officers to carry the drug. The kits were delivered by NKU student Kristie Blanchet, an intern at St. Elizabeth and Ashel Kruetzkamp, nurse manager of the emergency department at St. Elizabeth in Edgewood. Blanchet trained members of the police department with naloxone in July 2015. Lieutenant John Gaffin was involved in making the necessary policy changes in order for the officers to carry naloxone. “It is very important. There are addicts in the community, and this is part of the community, there is no exception to that,” Gaffin said. “We communicate with our Health, Counseling and Student Wellness, and we know there are students being treated for opiate addiction here. Gaffin said that he was able to modify the university police department’s policy by looking at the policy of the Taylor Mill Police Department. He hopes that if other universities decide to carry naloxone, they will look to NKU. Blanchet said she has distributed naloxone kits to approximately 40 law enforcement agencies in the region, and she hopes to reach even more. “If we don’t address this we’re going to have more people dying,” Blanchet said. “Silence is what’s killing people. The longer that we hold it in and we don’t talk about it, the more people are going to die.